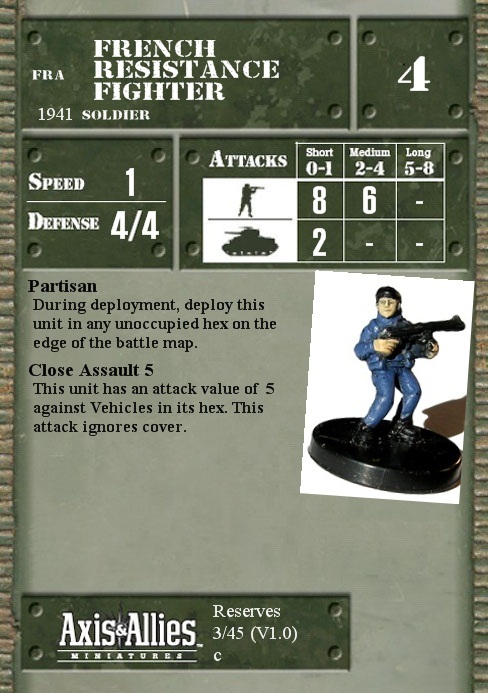 During deployment, deploy this unit in any unoccupied hex on the edge of the battle map. Q: If I put partisans down during the initial deployment phase before my opponent, can he put his troops in the same hex without triggering defensive fire? A: Defensive Fire is triggered by movement, and troop placement is not movement, so there's no defensive fire.